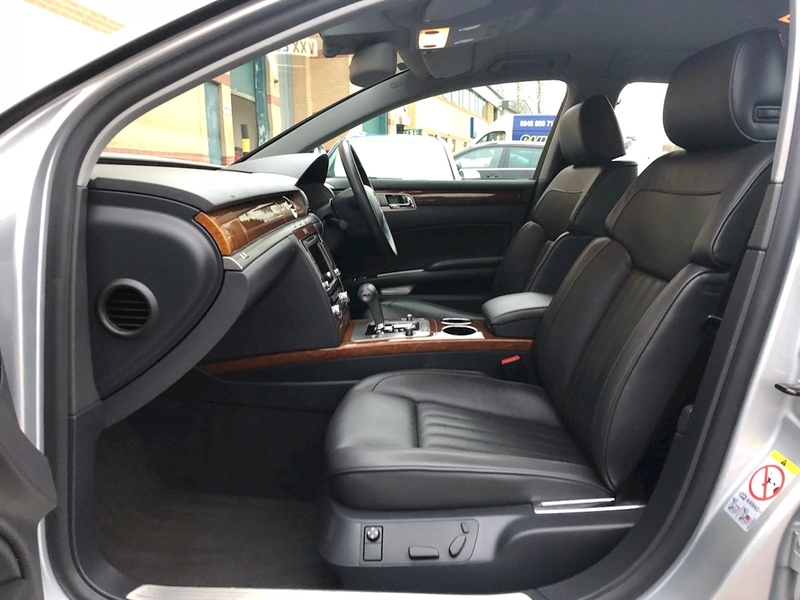 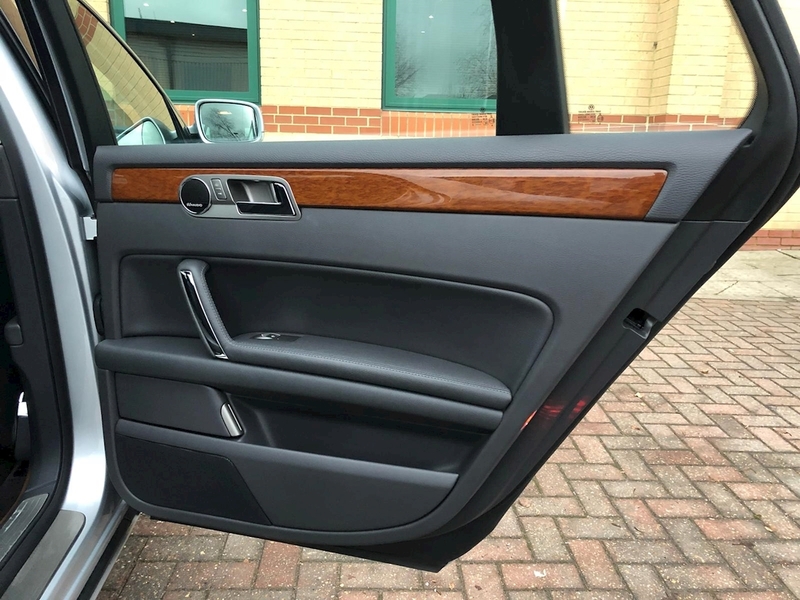 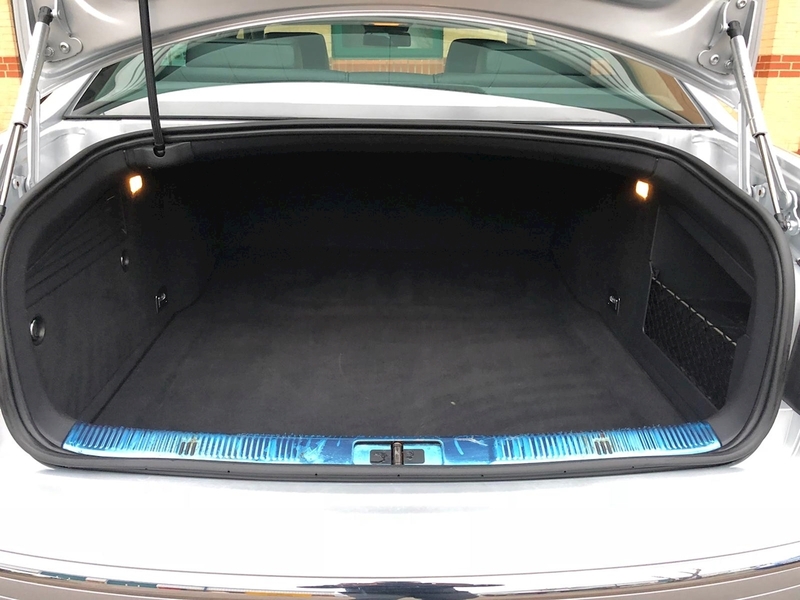 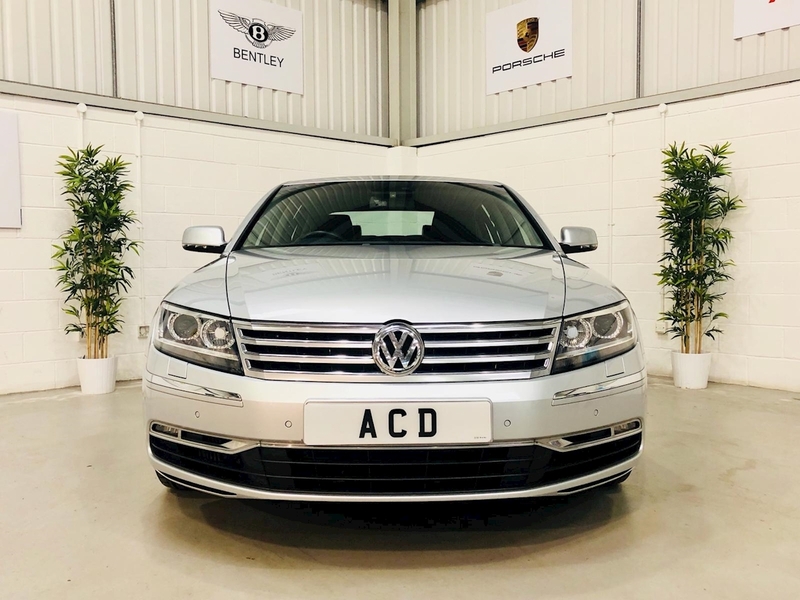 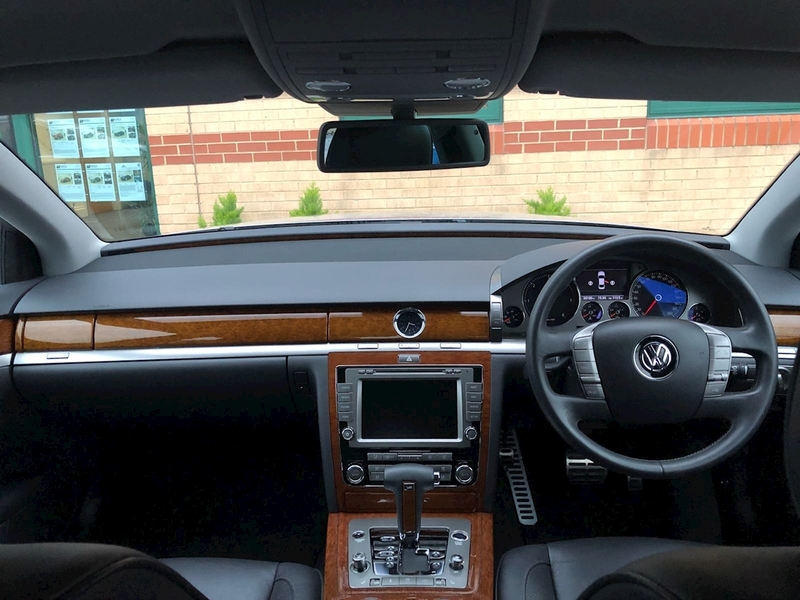 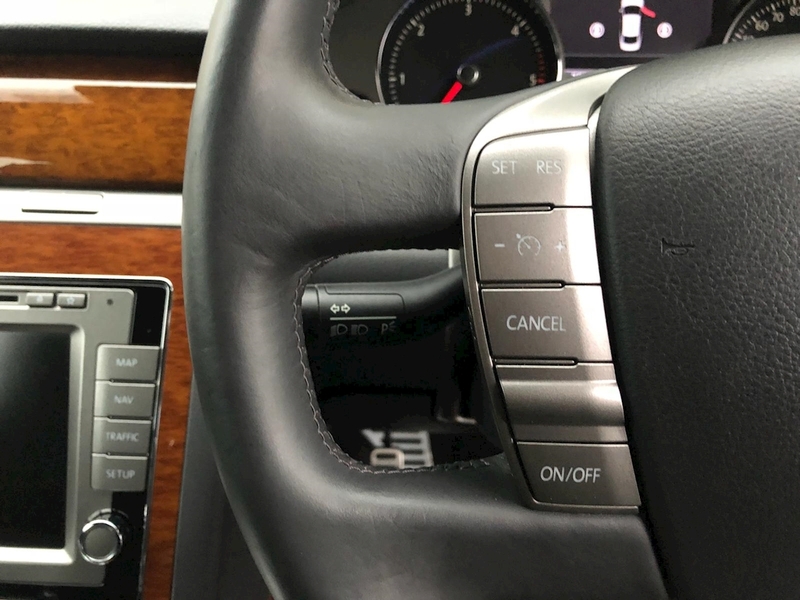 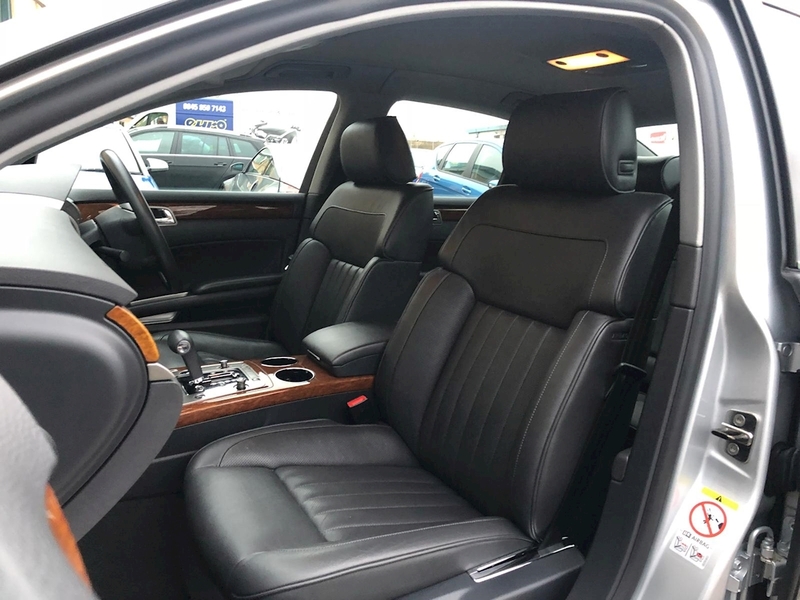 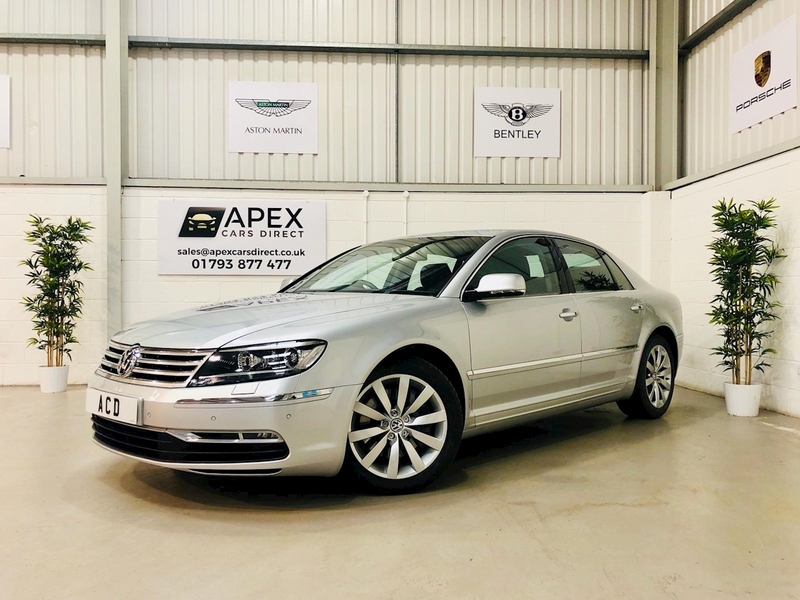 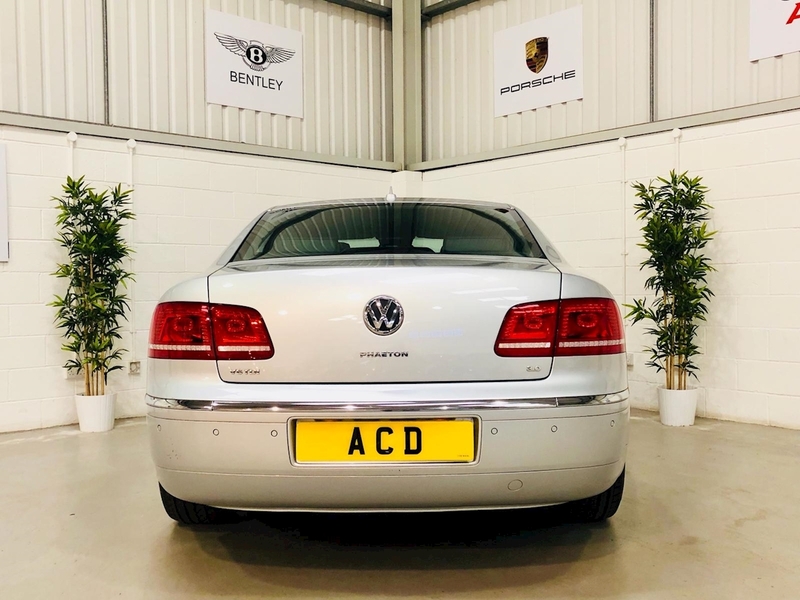 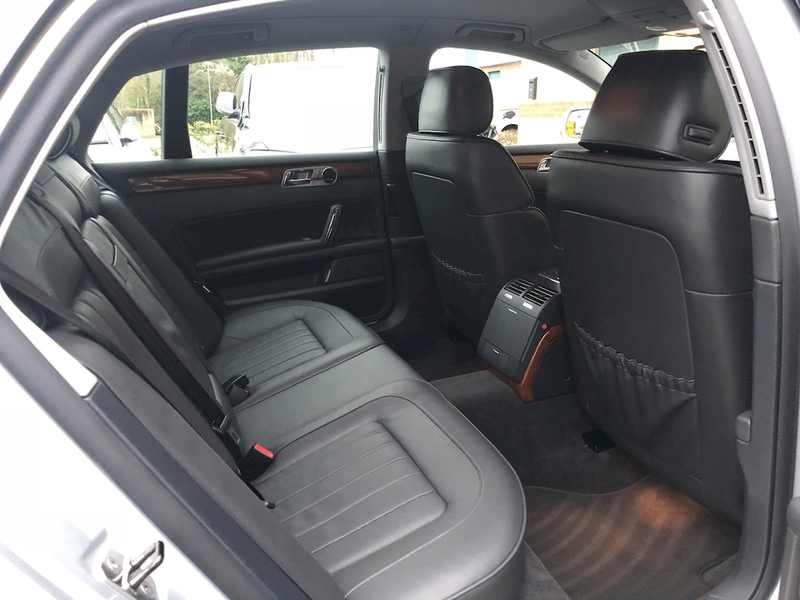 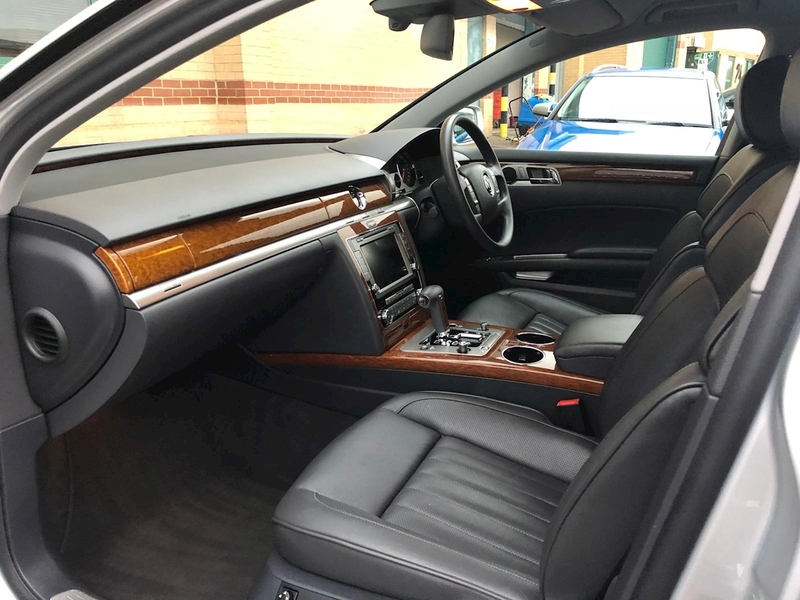 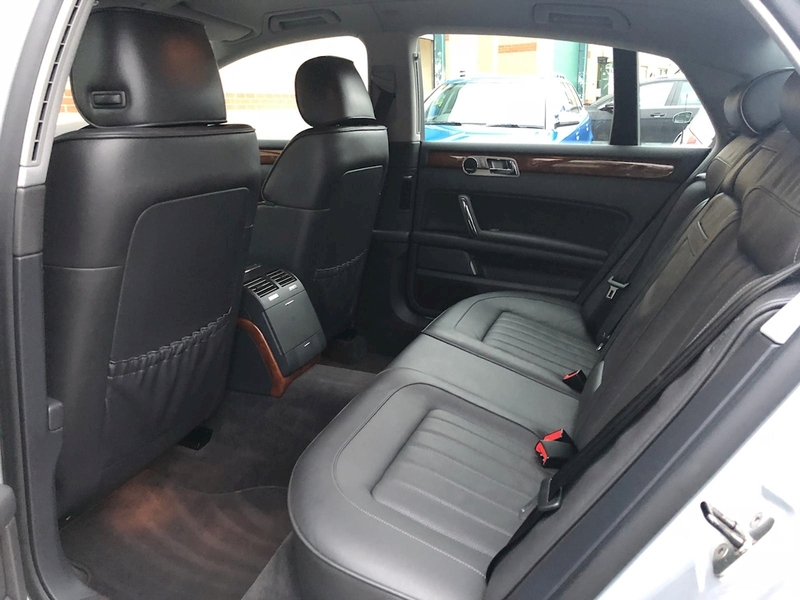 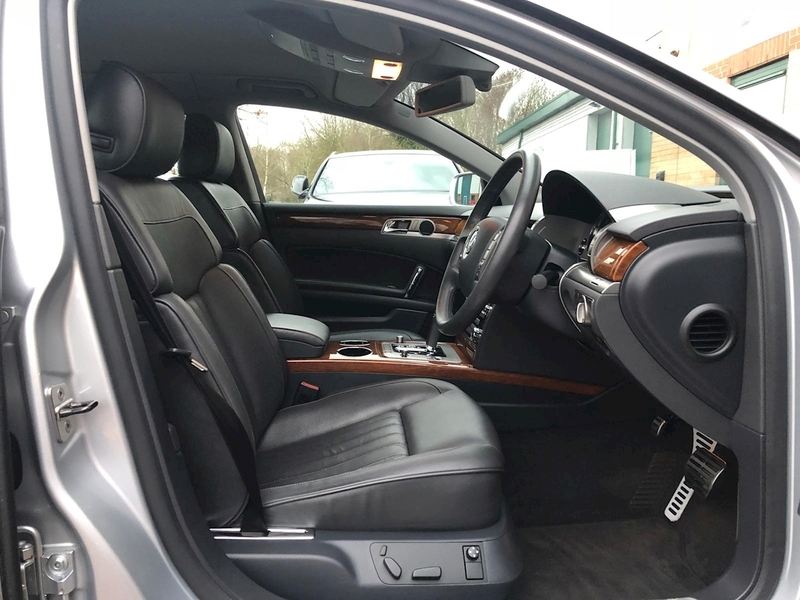 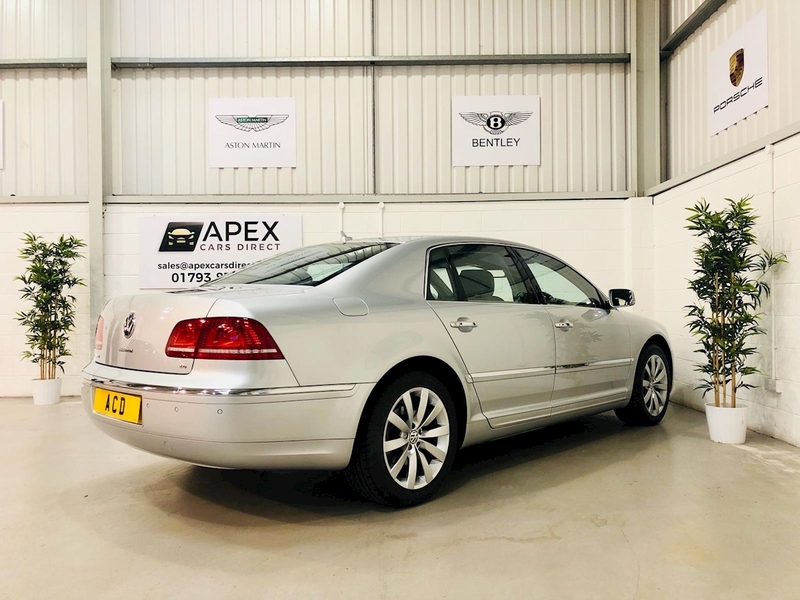 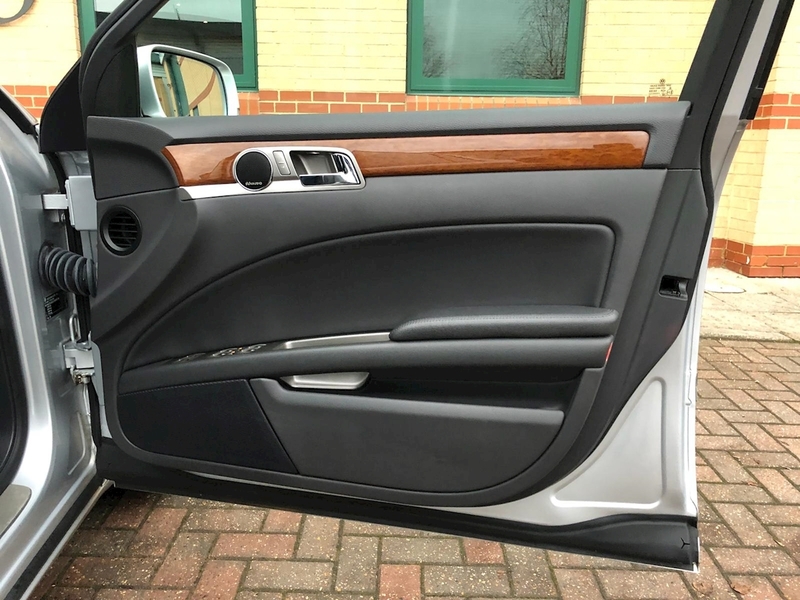 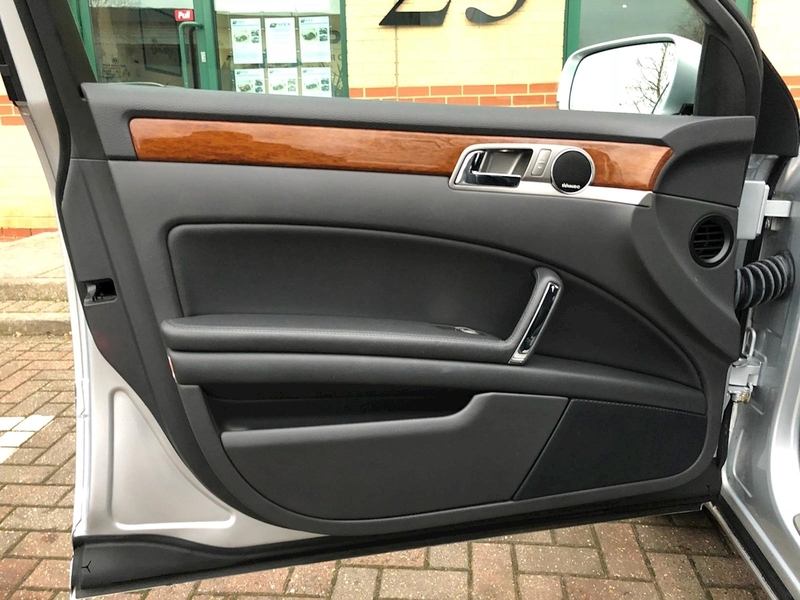 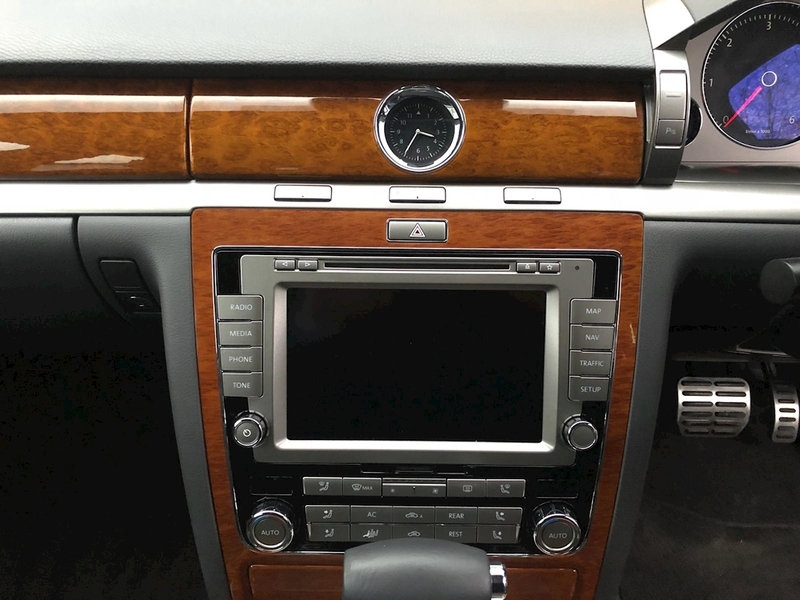 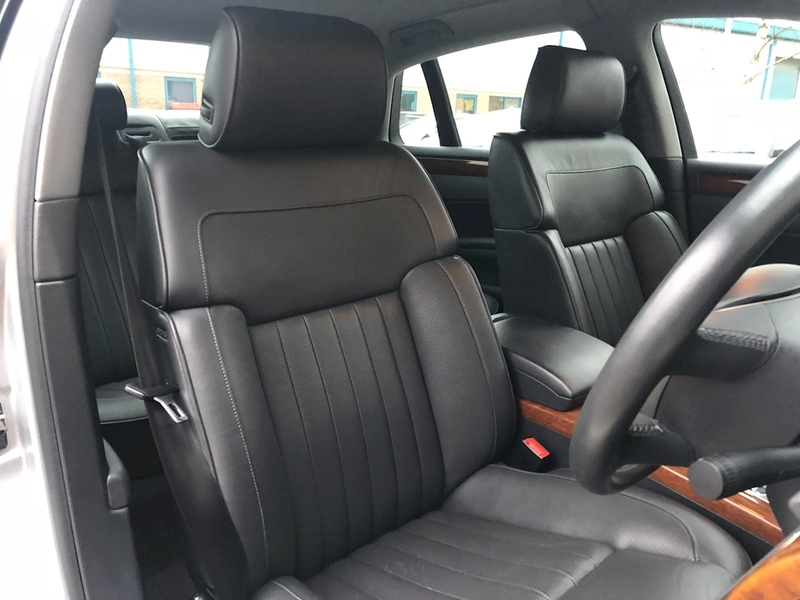 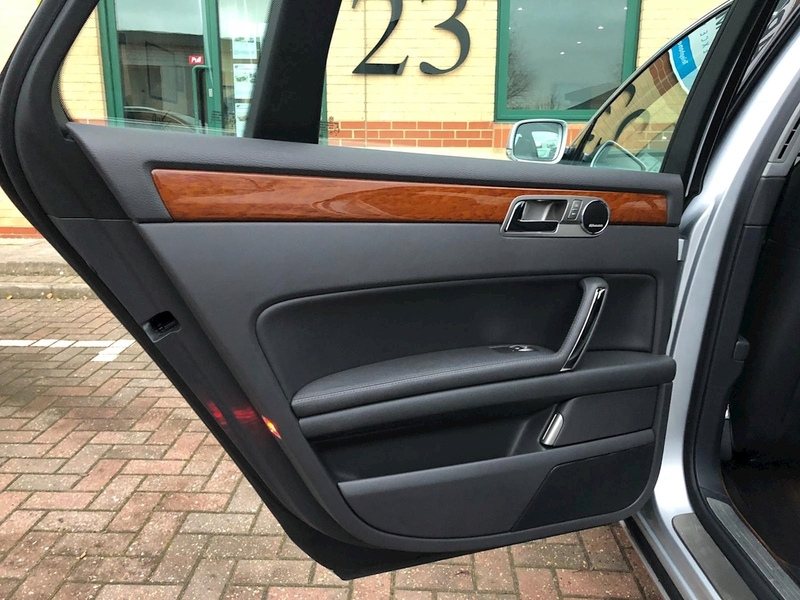 Apex Cars Direct are pleased to offer this beautiful Volkswagen Phaeton which has been finished in metallic Reflex silver and full black Vienna leather interior. 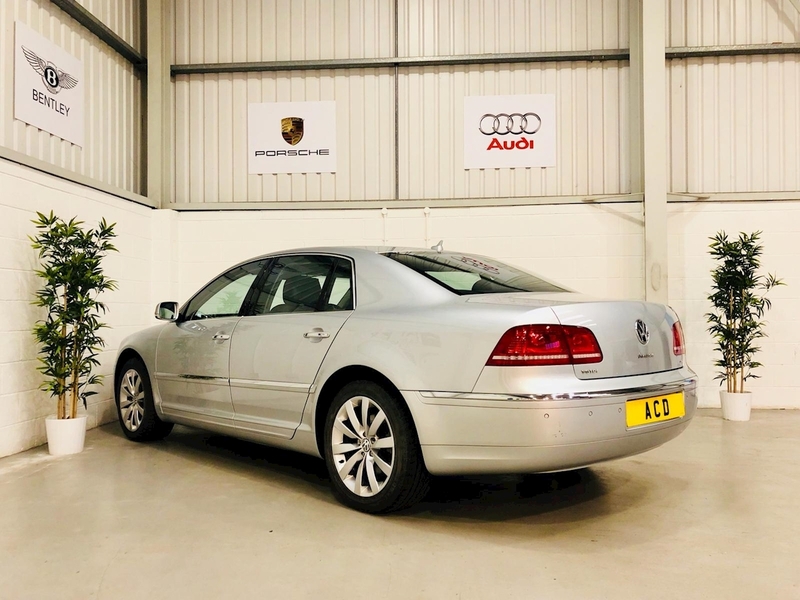 It comes backed with a full service history and 12 months MOT upon sale. 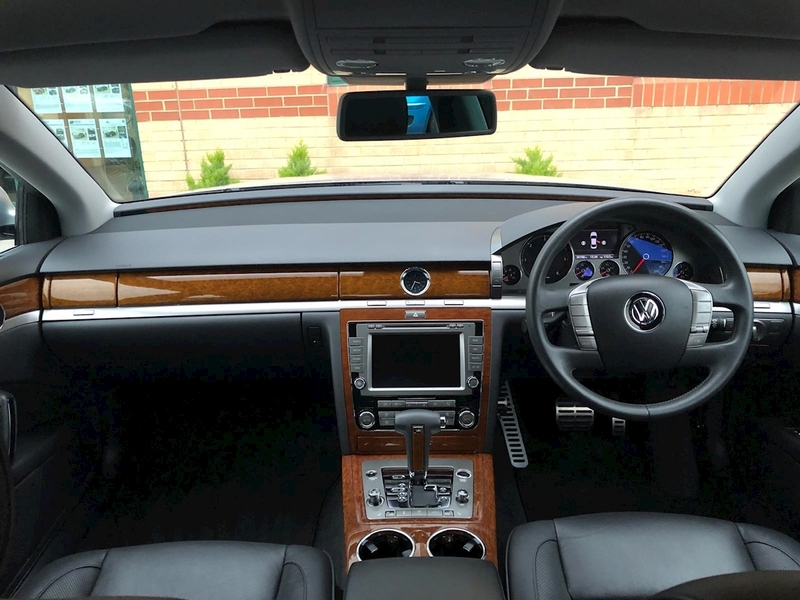 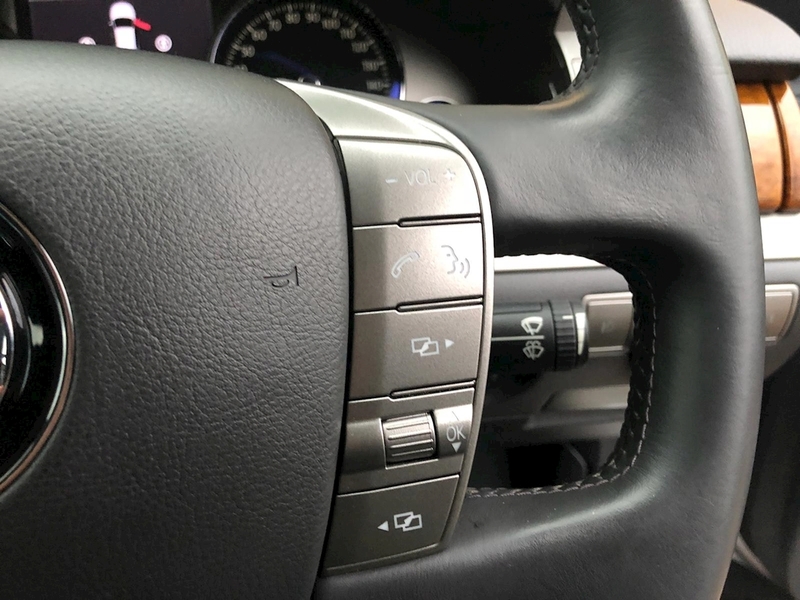 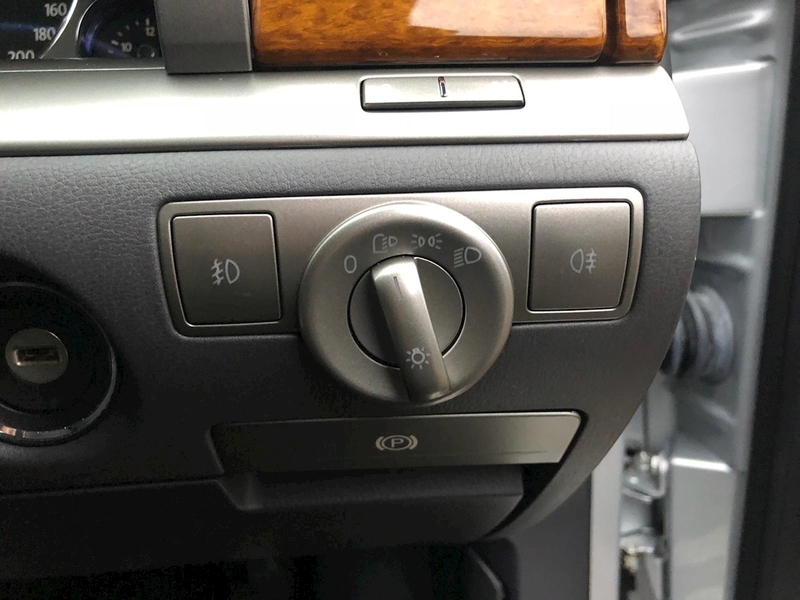 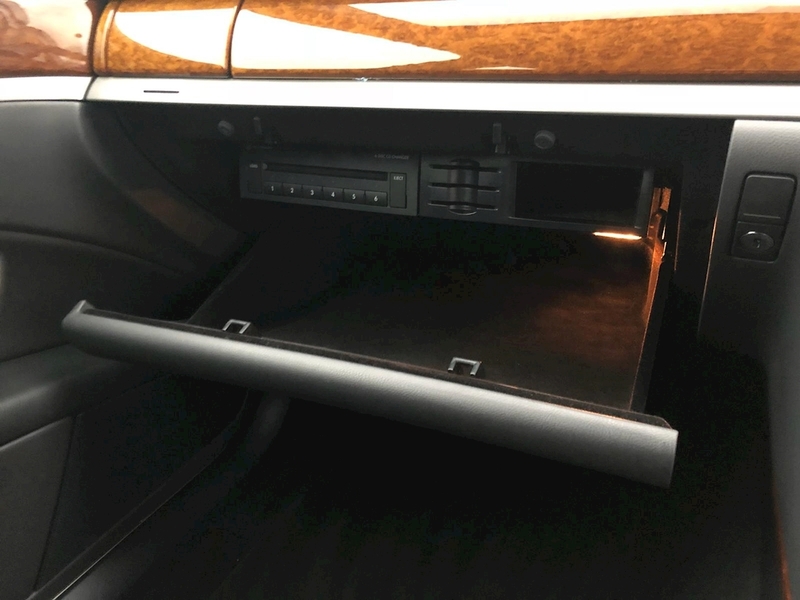 The specification on this vehicle includes Dynaudio Sound System, Satellite Navigation, Keyless Entry & Keyless Go, Multi-functional Steering Wheel Inc Paddleshift, Electric Driver & Passenger Heated Seats, Cruise Control, Dual Zone Climate Control, Bluetooth Phone Preperation, Adjustable Suspension Settings, Auto Lights/Wipers, Plus much more. 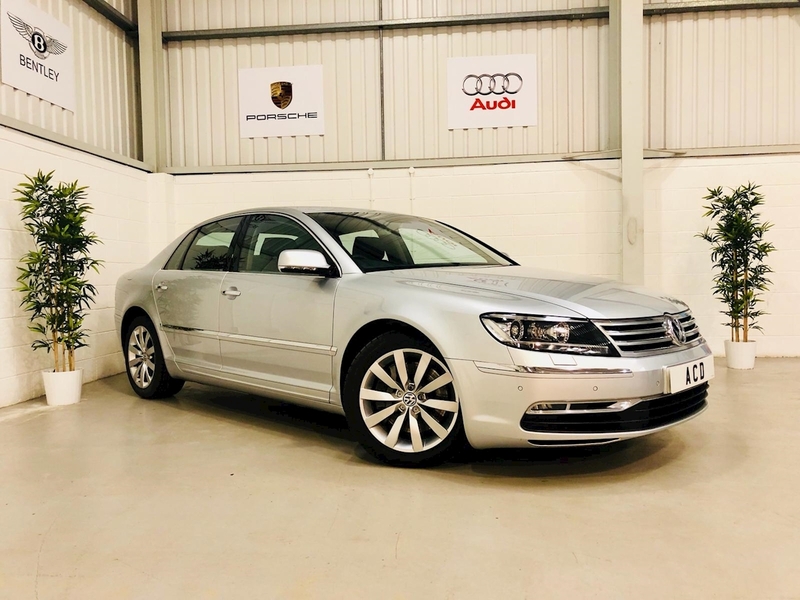 This vehicle will come supplied with a full service history along with a service and 12 months MOT completed at VW upon sale. 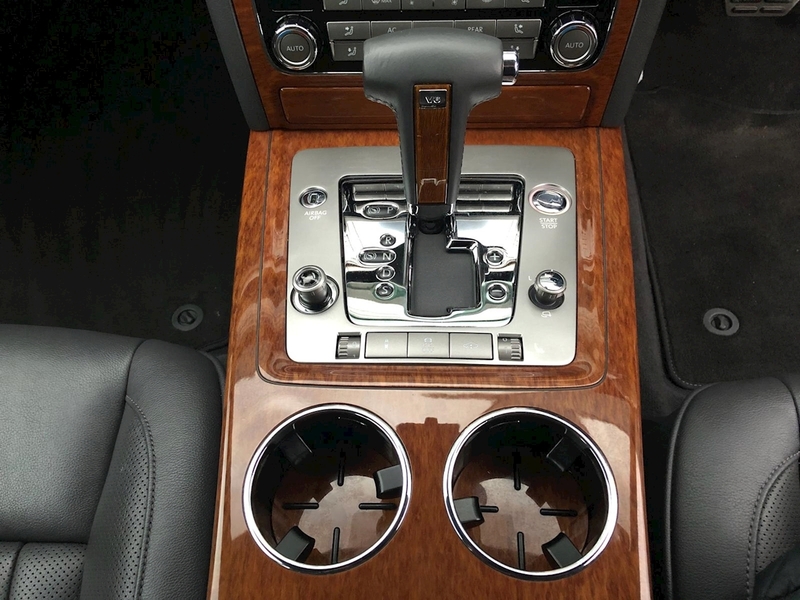 It has 2 remote Central Locking keys plus all the manuals and relevent documentation.